The worth that a product or service has in the mind of the consumer, which determines willingness to pay. Many companies don’t know what the perceived value of their product is. By surveying customers with Price Intelligently’s product, you can gain further insight into how valuable consumers think your product is. 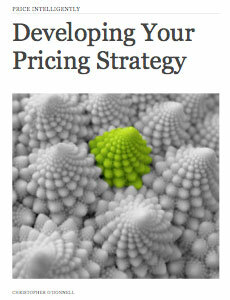 By undermining and overvaluing your product’s value, you miss out on revenue.